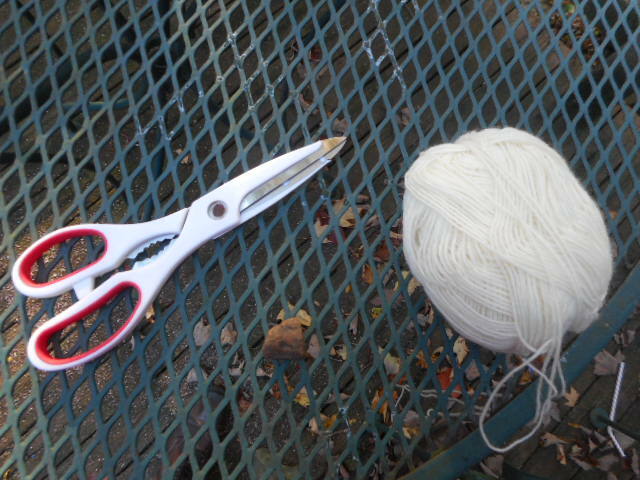 Cut an even number of strings, at least six. 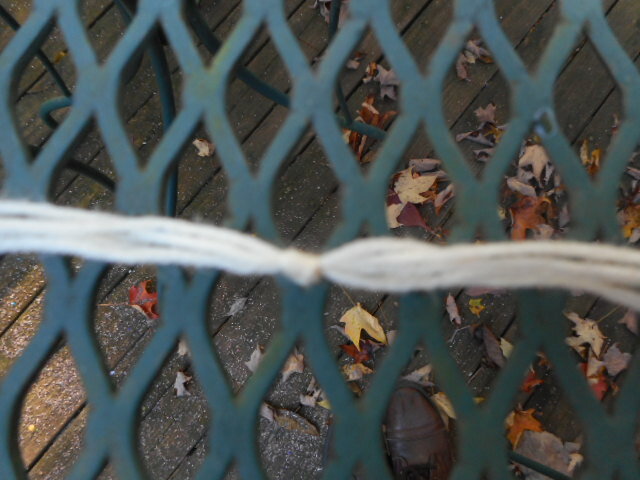 Tie a knot about a third of the way through. 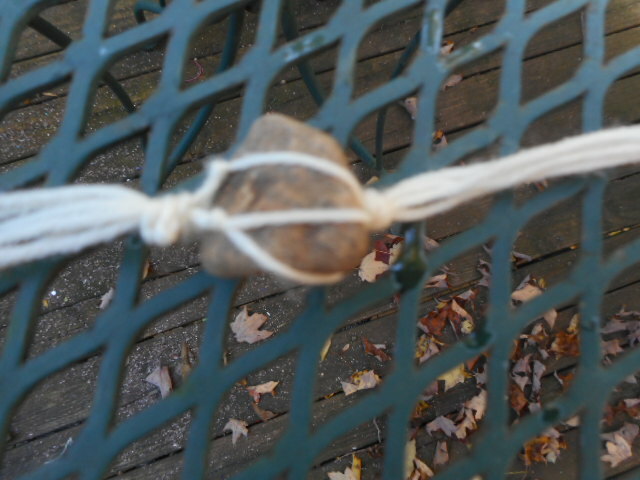 Place your strings on the rock and macrame it to make the rock stay put. 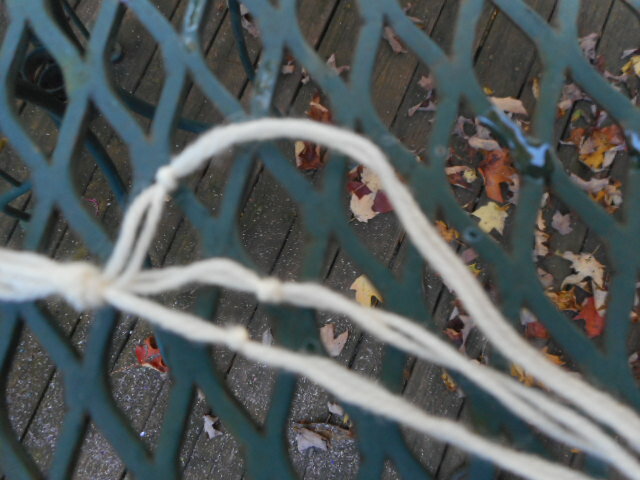 To macrame, take two of your strings and knot them. 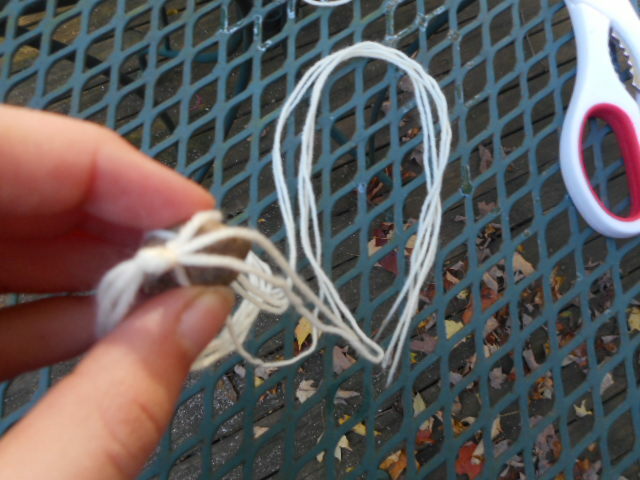 Do this with all of your strings, making the knots about the same place. 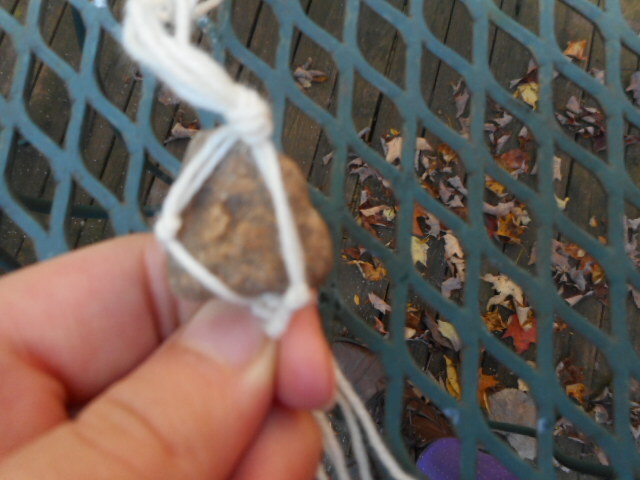 Then divide your two strings and tie a not with the string from the knot next to it. Put your rock in. Tie a knot to keep it put. You can braid the ends or tie knots, but I decided to leave it like this. 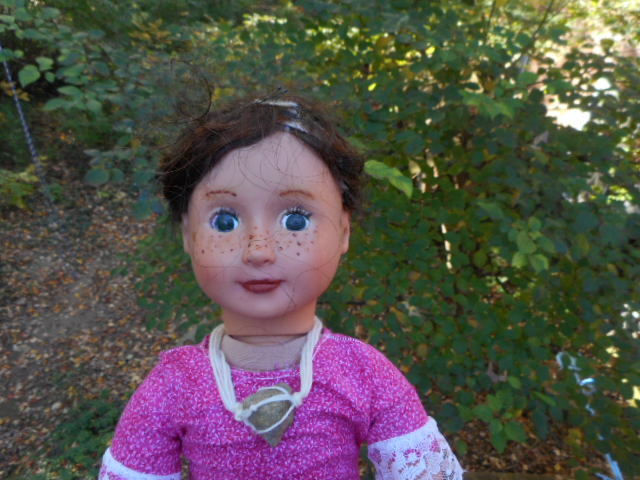 Put on your doll!